Today , i'm bringing a new homebrew game for 3DO ! 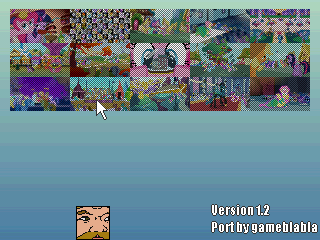 Where's Derpy is originally a flash game made by pepperpunk. I have decided to re-program it in C and now , you can download the game with 20 screens available! 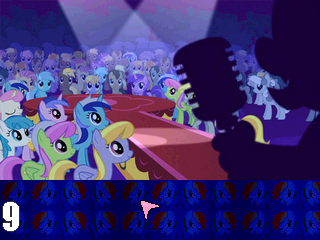 The goal of the game is simple : Just find Derpy (the grey pony) and the three muffins on each screen. But you can still win if you have only found Derpy. Ports were also made for PS1 & N64. Anyway , I hope you will enjoy it ! Last edited by blabla on Tue Jul 30, 2013 9:48 pm, edited 3 times in total. Thanks everyone for your support ! A new version is available with 5 more screens ! Ahhhhhhh bronies nooooo! Kill it! Kill it with fiire! On the other hand, more 3DO homebrew is always good. Good work. Kyosho wrote: Ahhhhhhh bronies nooooo! Kill it! Kill it with fiire! Well i'm not a fan of the show but i do like the game that pepperpunk made. And i appreciate your kind words , thanks. I want to play this right now! But can't, prob will have to wait until Sunday. Looking good too. Oh and you might want to avoid writing "because it can't play backup" when you mention the Goldstar. It's a myth, they are just very picky about burnt discs. A new update is available with 5 more screens + a little demo included. You see the face below ? That's the demo. Move the cursor over this face and press A. 3DO Experience wrote: Oh and you might want to avoid writing "because it can't play backup" when you mention the Goldstar. It's a myth, they are just very picky about burnt discs. But i haven't seen a Goldstar (at least the first version) that plays burnt discs. That can be fixed right ? 3DOExp is correct, the Goldstar units do indeed play backups. But it can definitely be a hassle. In my own experience, burnt discs will sometimes take multiple attempts before they get read properly. Sometimes (depending on the speed, brand, etc ...) they won't read at all. But with patiences and practice it works. blabla wrote: A new update is available with 5 more screens + a little demo included. If you have a FZ-1 then it should be fine. Extract the files , burn the iso file to the CD with a software like Imgburn. Burn it at a speed of 2x and if you cannot burn at that speed , burn it at the lowest speed. Once it is done , pop it in your FZ-1 and now you can play my game just like any 3DO commercial game ! - 5 more screens ! Well good. I never got to my 3DO(s) do I'll wait for the final version to burn. The final version is now available ! - 5 more screens , this final version has 20 screens instead of 15. - The graphics are a bit improved. Just played this, it isn't as easy as one would think. I did put it on the poor looking bedroom TV so I'd probably have a better chance on a nice TV set. The game is like Where's Waldo with a timer and ponys. The last frame was a shot from Return Fire, I don't know if Derpy was in there but I couldn't find him. Oh and that little bonus, hilarious! Maybe this will help with burnt CDs. My Jaguar, especially in the winter has trouble reading some burnt discs 'cold'. Which means I gotta put in a regular Atari release first and let it boot in the CD player and read for a few minutes. Then I can pop in a burnt CD and it will read it fine. My best guess is the laser head warms up or something? Try this with 3do burnt discs and see if that helps. Put in an official release first and let it read it for a minute or two for a warm up then put in the burnt/backup copy. See if it helps. a31chris wrote: Maybe this will help with burnt CDs. My Jaguar, especially in the winter has trouble reading some burnt discs 'cold'. Which means I gotta put in a regular Atari release first and let it boot in the CD player and read for a few minutes. Then I can pop in a burnt CD and it will read it fine. My best guess is the laser head warms up or something? It does actually, I've used that method before. EDIT - Hey the I can quote and use emoticons now! Yep, my old FZ-1 used to behave in exactly that way. Put a (very clean, high-quality media) burn in it straightaway, and it won't even boot it. Play a regular pressed disc for 10 minutes first, and then it can read burns like a charm. Something's warming up, who knows what though! Any chance for a Jaguar port? Just what the Jaguar needs. My Little pony! To the maker of the game, this in no way reflects a negative thing about you making a game, I just hate MLP. My Son is one of those Bronies and it drives me up the wall. a31chris wrote: Any chance for a Jaguar port? Shush now. What the Jaguar needs is more potential developers. Along with the 3DO of course. Darques_Pandemonium wrote: Just what the Jaguar needs. My Little pony! a31chris wrote: Shush now. What the Jaguar needs is more potential developers. Along with the 3DO of course. Fixing these quotes, by the way. I see that. Like I said, this has nothing to do with the game itself, I am just not a huge fan of the subject matter. I am happy to see that a new game, or games, as it were, have been released for the 3DO. You want Ponies on your Jaguar, be my guest. All I know is that when my Son saw screen shots of this game, he squealed like a little girl. This is an almost 16 year old boy. If that isn't weird, I don't know what else is.